Whether Vaisnava or Shaivite under the 'Hindu' banner, when considering the influence Vedic philosophers and holy men actually had on Akbar and his Muslim associates at the Ibadatkhana, relatively little evidence is found of any significant effect. There are numerous references in the writings of court historians like Abu'l Fazl mentioning Hindus who joined the ranks of world religionists at the debate assemblies, and even some specific references to Vaisnavas like Purushottama das and Devi, who made a presentation there. There is ample horn-blowing rhetoric, of course, about Akbar's religious astuteness, his dedication to truth, etc., etc., but few specifics are discovered wherein he is reported as having carefully considered the actual tenets of Vedic philosophy. In one early recension of the Akbarnama, there is mentioned a Hindu scholar named Abdul Hayy Firangi, who initiated a debate at the Ibadatkhana on the custom of sati. Akbar is said to have been very appreciative of this debate, because of its potential to positively effect social policy in India. But it appears that Abdul Hayy Firangi ('Abd al-Hayy of Firangi) was not Hindu, but rather a Muslim scholar indigenous to India. In fact, he is acknowledged as having been one of the important Indian scholars to contribute to Hadith literature, not as a Hindu, but as an Islamist. "Under the principle of attachment to one another, which is the foundation of the arrangement of the universe it would be eminently preferable that one should not marry more than one wife in a lifetime." Of course, even at the time of this address to the Ibadatkhana assembly, Akbar was maintaining hundreds of women in his personal harems, all of them presumably in the role of concubine, as Akbar had a wife. Nonetheless, Akbar recommended monogamy based on the notion of mutual devotion between a man and woman, along with the need to protect women against unjust treatment by men. While these are laudable ethics (if one practices what they preach), they are not social rules based on Vedic culture and varnasrama-dharma. So again, while the topic crossed into the realm of Indian societal issues, we do not see that Akbar was influenced much by Vedic culture in this regard. 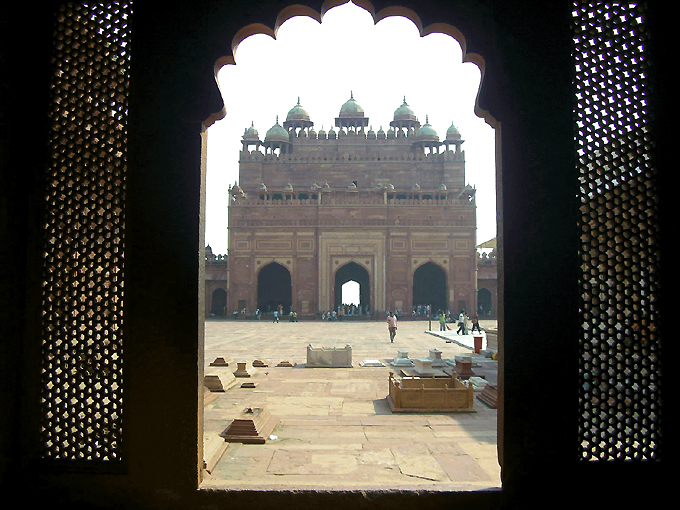 After the Mahzar was issued in September 1579, establishing Akbar as the sole arbitrator in matters of religious disagreement, the way was paved politically for others to safely align themselves with Akbar's activities at Fathepur Sikri. Trusting that the Mahzar would pacify the fundamentalist Muslim critics, many Muslim theologians and divines in the Mughal kingdom signed onto the Mahzar decree, thus accepting it in principle. Even some of Akbar's most bitter critics allied themselves under the Mahzar. Under the banner of his "Tauhid-i-Ilahi", or path of 'divine monotheism', later known as the Din-i-Ilahi, Akbar further consolidated his support base, bringing many prominent Hindu nobles of the day on side as supporters, if not practitioners, of his new religious path. This becomes more understandable when we consider the elements of the path, and see how amenable such practices would likely be to many Hindus, who are known for being highly adaptable and tolerant of other religions. In fact, practicing the Din-i-Ilahi would have posed few serious challenges for the average Hindu. "The Din-i-Ilahi or the Tauhid-i-Ilahi which was promulgated in the beginning of 1582, was an order of the sufistic type. Those who were willing to join and those whom the emperor approved were allowed to become members. To become a member of Din-i-Ilahi a person approached Abul Fazl. The novice was presented to Akbar with the turban in hand, he performed Sijdah (prostration) by placing his head at the feet of the emperor who blessed him by raising him up by the touch of his shoulders, placed the turban back on his head and gave him the SHAST (formula in Sufi language) which he was to repeat and concentrate upon. 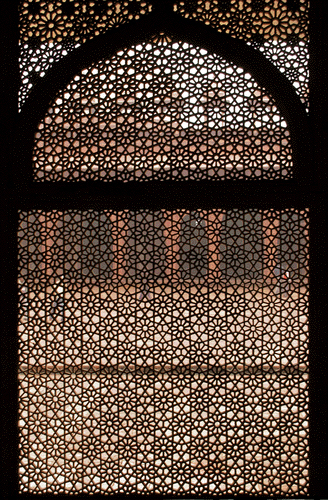 This contained Akbar's favourite motto "Allah-hu-Akbar" or "God is Great". The members of the Din-i-Ilahi were called Ilahias, greeted each other with God is great and Jall-e-Jalal-e-Hu. Sunday was fixed for the day for initiation. Akbar was bitterly criticized for the introduction of Sijdah at initiation ceremony. It is important to note that Akbar introduced Sijdah or Zaminbos (kissing the ground) in 1577-78, long before the promulgation of Din-i-Ilahi. It is more significant to note that Zaminbos/Sijdah was introduced by Balban in India and Pabos (kissing the foot) was also one of the court customs of the Delhi Sultans. It is said that Islam Shah Sur received homage to his shoes by the noblemen of his court. The Din-i-Ilahi laid stress on the purity of individual life and devotion to God like the Bhakti and Sufi reformers. It was really a code of conduct. Its nature was similar to the Asokan Dhamma but different in content. The members had to discard worldly pleasures and desires and lead a pure moral life. They had to abstain from meat as far as possible and did not dine or use the utensils of butchers, fishermen, bird catchers, did not marry old women or minor girls. The members had to celebrate their birth anniversary by giving a feast to members. They gave a dinner once a life time for the liberation from this materialistic world. There were four grades of devotion to Akbar as the Spiritual guide of the Ilahias. These were property, life, honour and religion." Although many Hindu nobles of the day signed on as initiates of Din-i-Ilahi, how many actually followed the code is another matter. There is one prominent Hindu who became known for refusing to accept Akbar's new religious path, and that was Mahesh Das (Birbal). Badayuni reported that Raja Bhaghwan Das and Man Singh also bluntly refused to join Akbar's movement. All in all, a few thousand people joined the Din-i-Ilahi, and beyond that, it never grew, nor did Akbar preach or promote it very vigorously. He focused instead on enjoying whatever political stability he had managed to arrange, and on living out his remaining years on this earth before death took him.